In the daily message of June 13, 2013, under the Power and Grace of the Father, our Master Christ Jesus gave to us a new and powerful exercise of Prayer, of Mercy and of Redemption that springs from His Merciful Heart. "With true love, devotion and surrender you will repeat ten times each one of My Five Wounds. 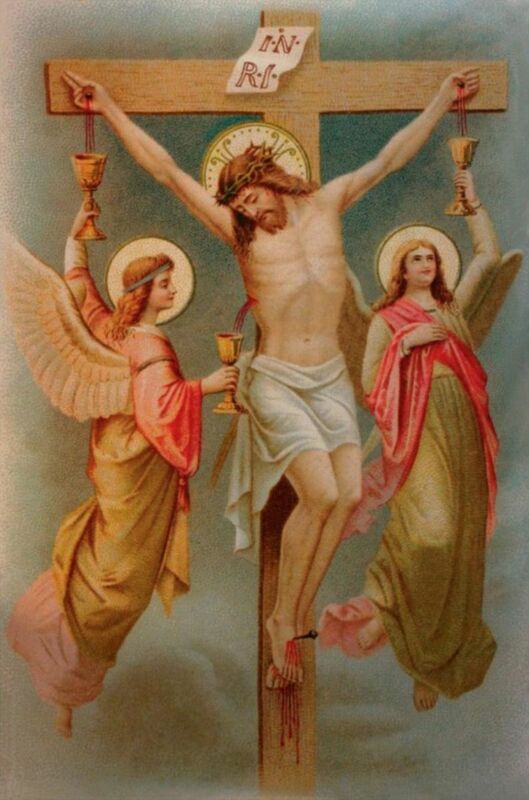 Whoever does this exercise with faith and spiritual conviction will receive the merits achieved by Me on the Cross, and these will be the same merits that I will deposit in the heart of all those who clamor for Me, and who may believe in the redeeming and healing power of My Wounds. Those hearts that, as in the Stations of the Cross, venerate Me and pray to these five wounds marked on My Glorified Body, on all Wednesdays and Saturdays, will be in truth united to My Compassionate Heart and ,with reverence, I will give them My Peace, My Comfort and My Mercy. If this exercise is prayed in group or in family the power of this devotional will acquire greater celestial repercussions. All of those who, with faith, recite these prayers to My Five Wounds will be able to understand from the heart the divine mysteries that were achieved by Me during the Passion. In this way you will repeat ten times, each one of the five wounds, and you will concentrate your being on the place where they were marked My Glorified Body. Whoever does this each new day will help in glory and in honor so that My Sacred Heart may be able to be relieved from the pain that humanity causes Me, for not accepting the All Powerful God, through His Most Beloved Son. reconcile us with Your Glorious Kingdom. (*)Marked: According to Christ Jesus all of the prayers have reference to this word because we as humanity marked the Son of God with wounds and this is an exercise of reparation.